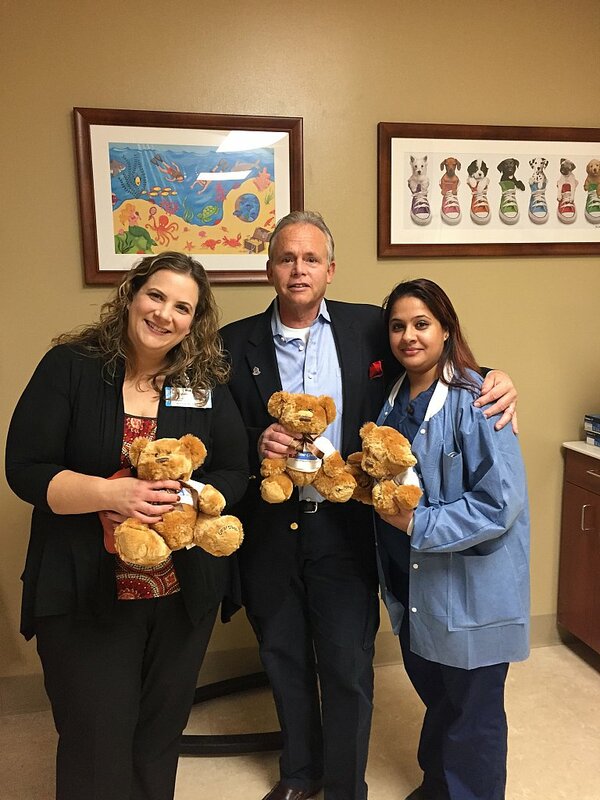 November 2016 – Bear Givers delivers bears to North Shore University Hospital. Roger “Mr. Lumber” Coleman, of Coleman Group Partners, sponsored a teddy bear donation and accompanied Kristen DiChiaro of Bear Givers to hand deliver them to North Shore University Hospital. The teddy bears will welcome children as they enter the hospital and comfort them throughout their stay. Thank you to Stephanie Cuvier from the Child Life Department for facilitating our visit and showing us around.